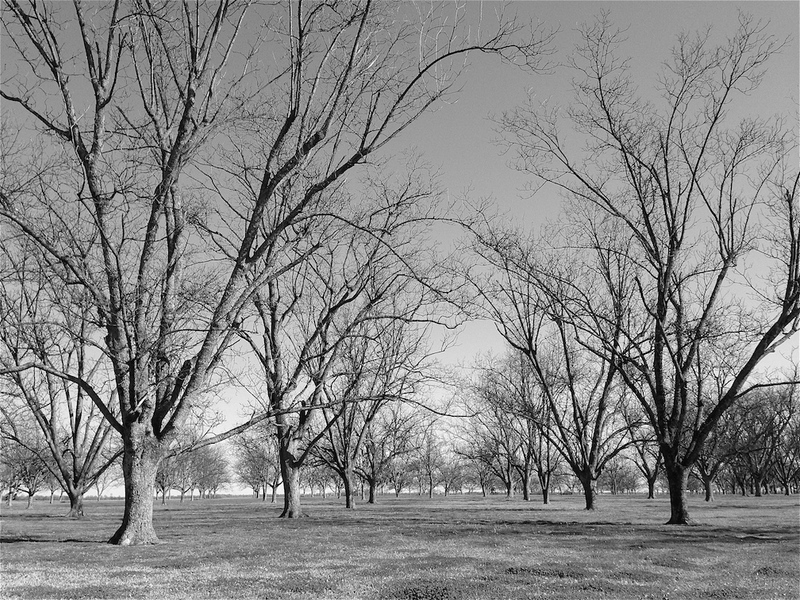 Mississippi has some of the highest concentrations of wild pecan trees. While cultivated pecans can be found throughout the South, the native varieties grow in a more concentrated area from Alabama to Missouri and through a portion of East Texas and into northwestern Mexico. The trees prefer a warm climate, and while they will grow in open fields, on fence lines, and as far north as Kentucky, the damp, shady areas of the Lower Mississippi River Valley are ideal. Today, if conditions are favorable, Mississippi pecan growers produce between three and four million pounds of pecans per year. National production is usually around three hundred million pounds annually but can vary greatly. The name pecan is derived from pakan, a word used by Native Americans, who have been gathering, storing, and eating the nut for thousands of years. They introduced the nut to European explorer Hernando de Soto when he traveled the Lower Mississippi Valley in 1541. European settlers enjoyed the nut, and around 1795 Thomas Jefferson started planting pecan trees at Monticello. In addition, he shared the nuts with George Washington and helped him start the trees at Mount Vernon. Among the many prominent hickories—shagbarks, pignuts, shellbarks, mockernuts, nutmegs, and blacks—the pecan stands out as a popular edible nut. Pecans (Carya illinoensis) are round ovals with four ribs and a thin shell. Reddish-brown in color, they generally measure between 1 and 2.5 inches long. They contain about 70 percent more fat than most other nuts. Like the healthy oil from olives, most of this fat is monounsaturated. When served raw, pecans are a source of vitamin B6. Pecans are the premier native southern nut, one that European visitors often take home. Southerners as well as those who visit eat pecans raw, roasted, salted, spiced, sugared, and chocolate-coated. The nuts can be cooked in candy, cakes, pies, puddings, breads, buns, and stuffing and stirred into snack mix, salad, and ice cream. Because of their high fat content, shelled pecans have a short shelf life—as little as two months. They keep for four months in the shell and for years in the freezer. Fresh pecans smell and taste good, but when they spoil, they turn rancid and smell or taste sharp and strong.